Finding the right balance between our needs and the needs of our children, our spouses, co-workers and other important people in our lives is not always easy. If we aren’t careful, our own needs end up lost somewhere in the day to day shuffle. Learn how to realize your own needs, view them as important too and create a strategy of greater balance. CJ shares her own experiences and tips to help you create more balance in your life. 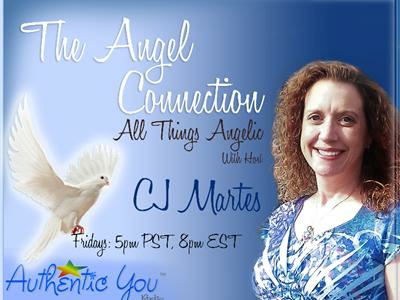 Join CJ every Friday at 5pm PST/6pm MST/ 7pm CST/8pm EST for assistance connecting with your Angels. To receive the popular Angel Message of the Week, teaching articles and upcoming shows and events via email, be sure to sign up for CJ’s Newsletter: http://www.cjmartes.com/newspad Questions can also be submitted for CJ to answer on air in a future show here: http://www.cjmartes.com/question.asp.